A series of guides and articles looking at some of the more general electrical issues for classic motorcycles. The following series of articles and how to guides aims to look at some of the more general aspects of a motorcycle’s electrical system such as the wiring loom, switchgear and battery. Like the other articles on this website, the inspiration behind the articles came from the ongoing restoration of my 1951 Matchless G3LS motorcycle. However they are quite general and so the ideas and solutions I have described can easily be applied to other classic bikes, more modern bikes or indeed to many other types of vehicle too. 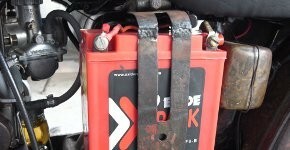 There is also a separate section of this website dedicated specifically to the maintenance of the Lucas dynamo and regulator battery charging system found on many old motorbikes. This covers topics such as general fault finding if your battery doesn’t appear to be receiving charge, testing and diagnosing a Lucas dynamo and upgrading a bike to 12 volt electrics using a modern solid-state electronic regulator, amongst others. This section can be found by clicking here or following the Lucas electrical system link in the menu at the top of the page. 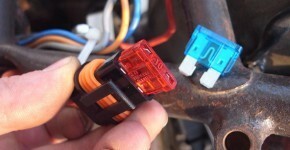 Where to fit the fuse or fuses. Voltage vs. state of charge.